You are here: Home > News > DoE Budget Cuts Threaten Scottish Mutual Project. 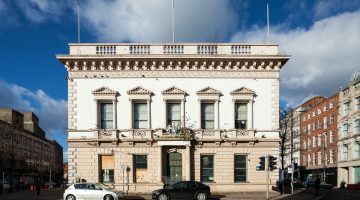 A project to regenerate the B1 listed Scottish Mutual building, Donegall Square, Belfast is threatened by the complete cessation of listed building grants in the DoE draft budget 2015-16. 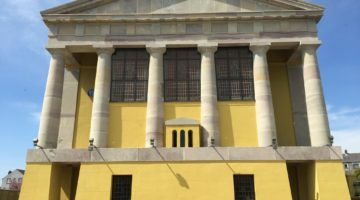 Not only do these grants help protect and regenerate historic buildings, supporting owners deal with ‘heritage deficit’, and inspiring other to take on listed buildings. They are also excellent value for money. For every £1 of grant £7.65 is leveraged from other sources. Based on these figures, grant funding for this project had the potential to inject over 3 million back into the economy. Click here for the article in full. Sign our petition to say no to cuts affecting the protection of historic buildings in Northern Ireland. 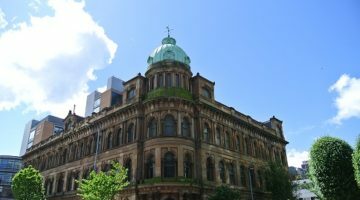 The Ulster Architectural Heritage Society, (UAHS) is deeply concerned by the decision by Belfast City Council to approve planning permission for Ewart’s Warehouse, 17 Bedford Street, Belfast.